← What I would look like if…. 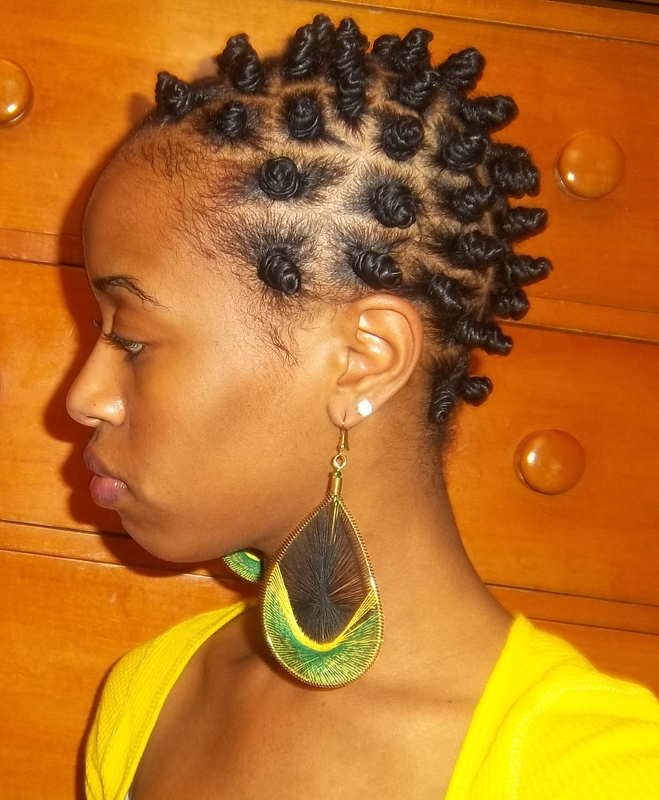 I consider this to be one of the most unique natural hairstyles that I do. I don’t really see many people rocking this style, at least in my area. So if you’re looking for a style that’s cute, edgy, and protective, bantu knots or “Chinee bumps” (as we call them in Jamaica) are for you. Lasts: Foreva! Seriously, this could hold up quite nicely for 4 weeks, if you wanted it to. However, I have an incurable disease that prohibits me from wearing a style for longer than one week…:D Careful, it’s contagious. Begin on freshly washed, wet hair-Part in half. You can either make horizontal parts or vertical. I started with horizontal. Use mirrors to ensure your parts are neat. Section off a small square of hair using the end of your rat-tail comb. 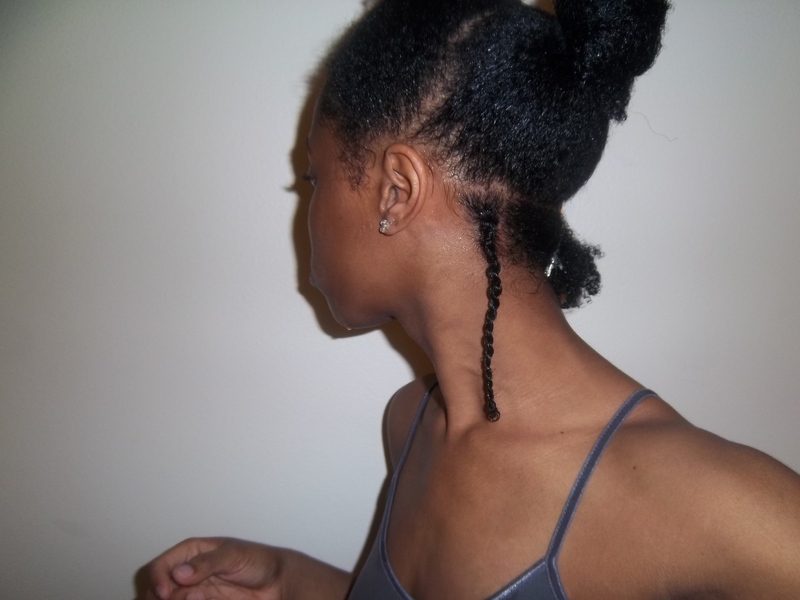 Two-strand twist the section, using the gel to keep the hair smooth and non-frizzy. Tightly coil the hair around itself into a little ball. 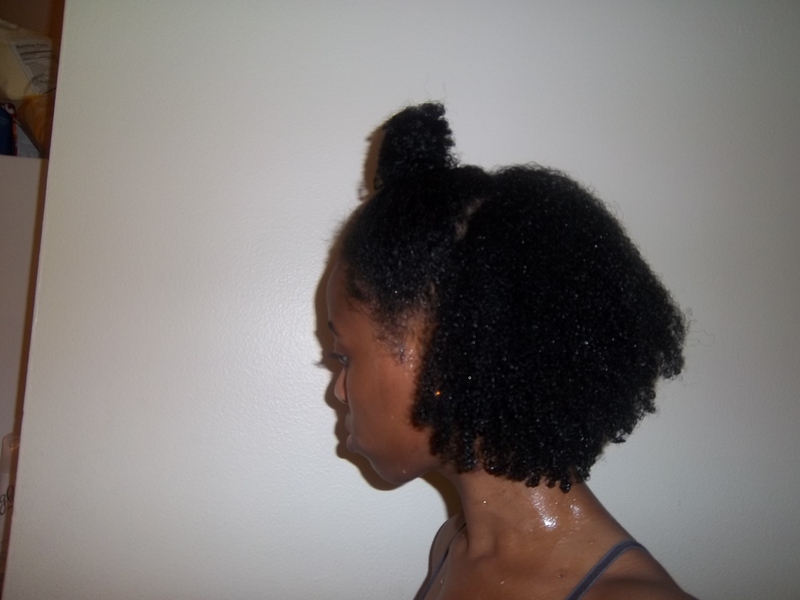 Add a small amount of gel to the ends to ensure the hair will stay. This takes practice, but once you get the hang of the hand motion, it's simple. Continue until you've finished an entire row. Repeat until you're finished with your entire head. Make sure to keep the sizing of your parts consistent. Side view. This was my second day wearing the style. 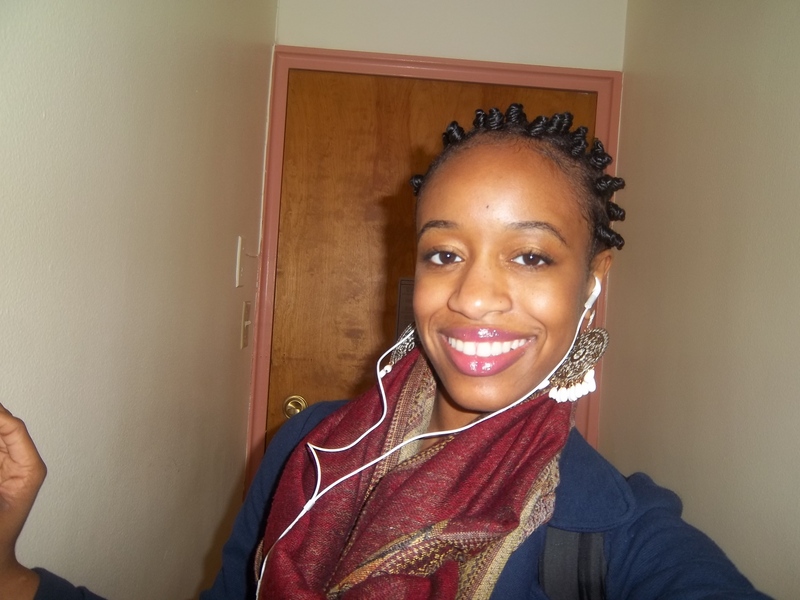 At night, I simply wrap a scarf around my edges and throw a bonnet over the whole thing. Reactions You’ll Get: People will have so many different reactions to this unique hairstyle. Prepare to be asked if you’ve cut your hair. Prepare to get looks of amazement, like, “What’s going on, exactly?” Prepare to get some guffaws of ridicule from people who don’t find it cute-this happened to me on the bus. Seriously. 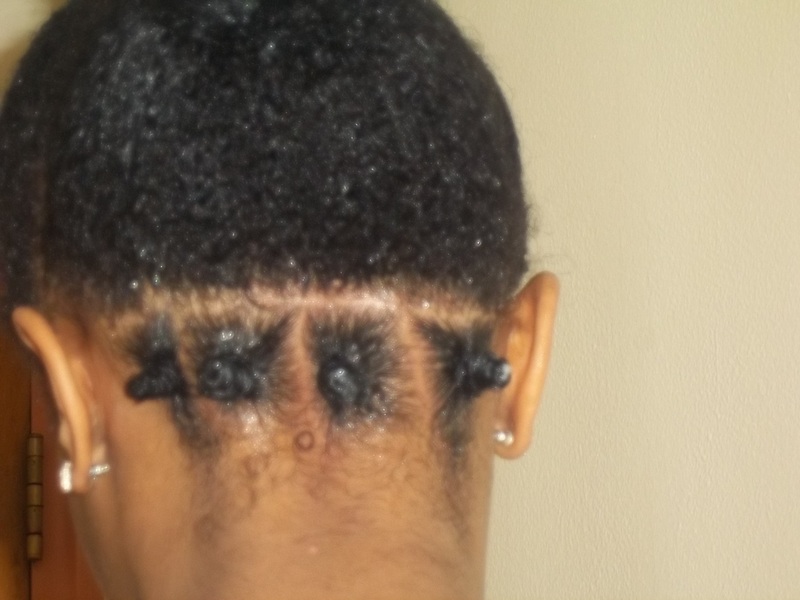 My bottom line: I LOVE this hairstyle, it’s MY HAIR and that’s all that matters. Ciao! 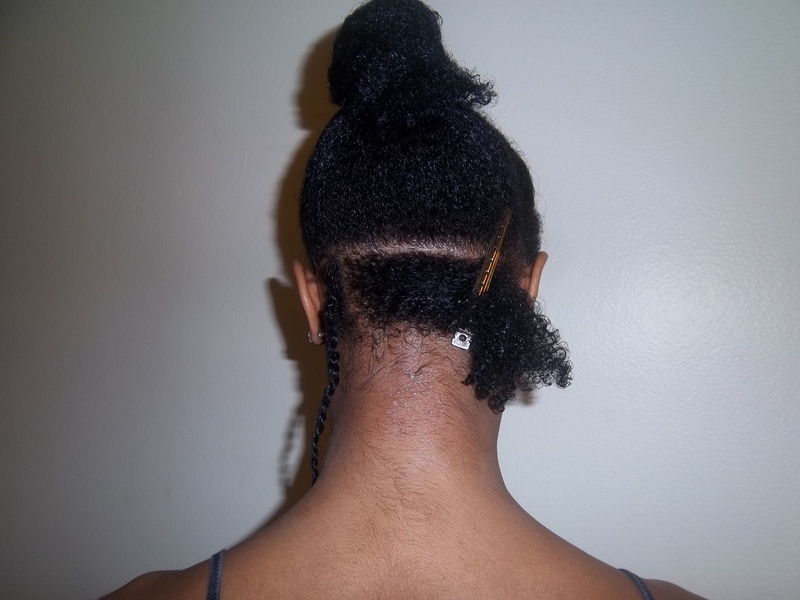 This entry was posted in Protective Styling, SuperStyle Tutorial. Bookmark the permalink.